Category: eBooks Tags: mental health, positive psychology. Tara’s childhood was scarred by the debilitating mental illness of her father and by her mother’s death from cancer when she was thirteen. Caught up in grief and despair, Tara and her older brother Adam developed a deep, caring bond, but Adam struggled silently with growing anxiety and depression. Four years after their mother’s death, he committed suicide, throwing himself from his study window at Oxford University. Grief and insecurity threatened to engulf Tara, but eventually she found, within her brother’s diaries, her reason to live. The story moves from London to Sydney as Tara rebuilds her life, firstly as a physiotherapist and then a firefighter. Through her search for understanding and a powerful dialogue with her brother, she eventually escapes the past and finds a life of meaning. 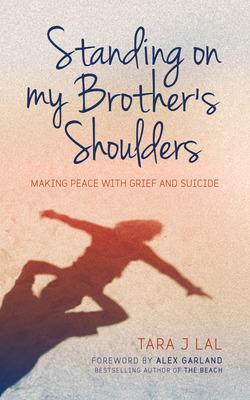 Trained in suicide prevention, the author hopes that her story will allow the reader to identify risk factors for mental illness, as well as strategies that reduce the effect of trauma and loss. She also aims to give examples of techniques to improve resilience, and show how we can aid post-traumatic growth and improve happiness levels through positive psychology. About the Author: Tara J. Lal is a female firefighter in Sydney’s eastern suburbs. Born and bred in London, she holds two university degrees and is a practising physiotherapist. She is trained in suicide prevention and crisis intervention, and managed the Critical Incident Support Program in Fire & Rescue NSW, working with the Black Dog Institute to promote mental health in firefighters. Her vision is to use her book to endorse evidence-based resilience training as a way to enhance growth through trauma.